Today I have been struck by the inordinate amounts of cheap property going to auction. And when I say cheap – I mean cheap. I mean so cheap you could buy it with a credit card – Hell, you could probably even buy it with Tesco Clubcard points! 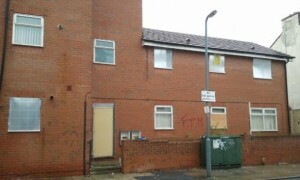 Take for example, this one bed flat which is going for sale in Liverpool. It has a guide price of just £6k. I mean, I know people say it’s rough up North – but 6k – that sounds like it’s GOT to be rough! Admittedly the photograph does it little justice – but it’s got a roof, it’s got walls…and it may even have some glass behind those security shutters. Research suggests you might even be able to rent it for around £300pcm – which is an incredible yield. Of course, that assumes you will find someone who wants to rent it and who will actually pay you the rent – but these are just details. But how important is the detail? If a property is cheap enough, is it worth buying just because it’s cheap? I remember the stories of old, when people used to talk of buying entire streets in Northern towns, towns where you could buy entire streets for the equivalent of a pint of milk. Houses that were so cheap you couldn’t even give them away! I’ve never seen these fabled cheap streets, but I do remember in 2004 when I was thinking of buying property in Burnley and the other half stopped me. He said I wasn’t to buy the s**t there even if it was £7,000 per house. I was really annoyed with him at the time – especially more when just a few years later I could have sold that very same house, in the very same condition for £40k. Of course that was during the boom years, otherwise known as the bubble. Property prices are nowhere near £40k per house – but still you’d probably have to pay at least £15k for one of these trashed Burnley houses at auction nowadays, so it hasn’t dropped quite as much as what you would think. Which got me thinking: Does cheap property make a good property investment? Is there a point at which you say – that is just sooooo cheap I have to buy it, just for the sake of the cheap price tag – or do the details (the little details like rental/ resale and all that other investment malarky) really matter so much more than a cheap price tag? 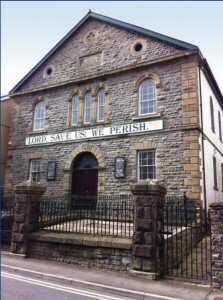 And then I saw this chapel for sale in Wales for £22k. I love chapels and with such a cheap price tag I couldn’t help myself but start to wonder…of course, it doesn’t have planning and will cost a fortune to convert…but at just £22k…how wrong can you go? And then just a few lots later in the same catalogue I saw another Chapel for sale, in fact it’s just a few miles away from Chapel 1. This one has already been converted to 4 flats – so the planning and much of the work has been done for you. 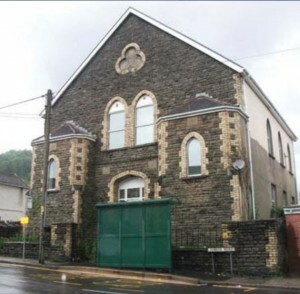 And the guide price for this converted chapel: £55k. Admittedly, the converted chapel is £33k more than the unconverted chapel, but seriously, £33k isn’t even going to touch the sides in terms of conversion costs for a building of this size. And then I wondered if a cheap price tag on a property is actually a red herring – because I couldn’t help but notice the converted chapel was a repossession. And I couldn’t help but wonder if it had been the stratospheric conversion costs which had bled the former owners dry? And surprisingly – the £6k flat in Liverpool – that’s also a repossession. Which really makes me wonder: Does cheap property make a good property investment? Dear Sam, Interesting post, I have in the past bought a lot of cheap property, It does require active management, It is cheap because of lack of demand. There are huge areas in the north with terraced houses under 20k, below a certain level you can’t get a mortgage so some areas become too cheap to bey especially now in a debt drought, however if you can buy them now at the bottom of the cycle when debt returns they will return to high values. I think you need to consider carefully the cost of owning a cheap property such as security & insurance when empty and cost of refurb bath and kitchen when your dodgy tenant has left after 6 mths. However some councils are offering grants to bring rough properties back to spec and then leasing them, also some charities will gtee rents to vulnerable people in rough areas. The key is to keep the property tenanted, I would suggest renting at a lower than market rent for long term income. If i had a good agent in the area i would seriously look at that chapel. Very interested to hear what others think. You make a very significant point: the property is cheap because of lack of demand. I would be very interested to hear more about your experiences given you have bought cheap property previously. Hi Sam, we have a couple of mutual friends with rental properties in S Wales. The word is that flats in most places are hard to let bcs there are so many houses available. Also some villages / streets in The Valleys are no-go areas whereas others very close are fine. I guess it’s all about local knowledge. Thanks Rich, yes I understood when there is a glut of properties that flats will tend to get overlooked in favour of houses – which can be similar rents. I did not know about areas in the Valleys which are no go areas – are you able to share? This is one of the rougher streets in Penrhiwceiber. We carried out a refurb in the street above and there was a fight one night and a door we had left outside was thrown at another person. The church with planning is that in Aberfan? Sometimes location matters a lot when investing in property. A good location can give huge ROI in a short period of time whereas a cheap property may take a lot of time to give return. There are many factors related to this. So, focusing on one factor only is not the best option while investing.